Hi everyone! Robbie here today! 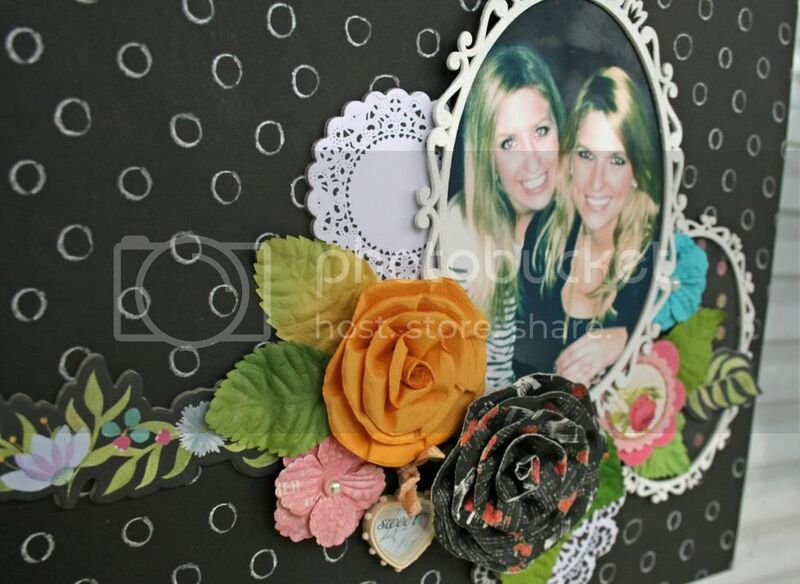 I'm sharing a layout that I made with a package of the Chipboard frames. I'm a sucker for frames and these are a gorgeous example of frames done right! I kept this pretty simple. I painted the frames white with acrylic paint. It took a couple of coats, but I like the way it turned out to have a bit of a chalkboard look that went really well with this paper collection. 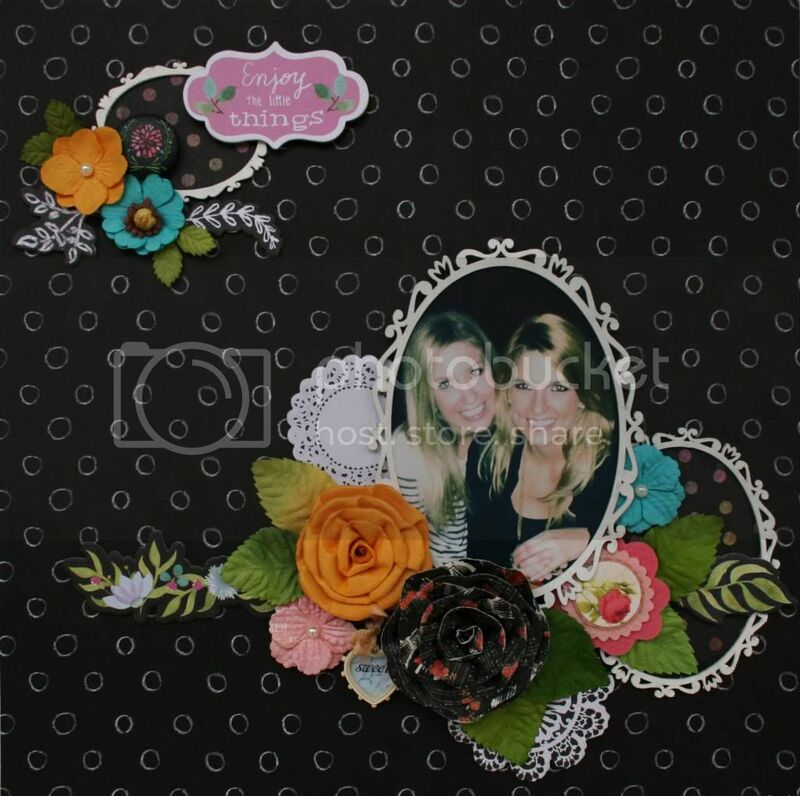 I used Prima Optimist collection for this layout. You can see from the photo above that I put a coordinated piece of paper in the center of this small frame and also in the medium frame at the bottom. Simple and a bit of extra interest. The photo was placed in the center of the large frame and I used foam dots to raise it up a bit so that I could tuck the other chipboard piece underneath it. I finished it off by adding flowers and leaves layered underneath and on top of the cluster. This is gorgeous! 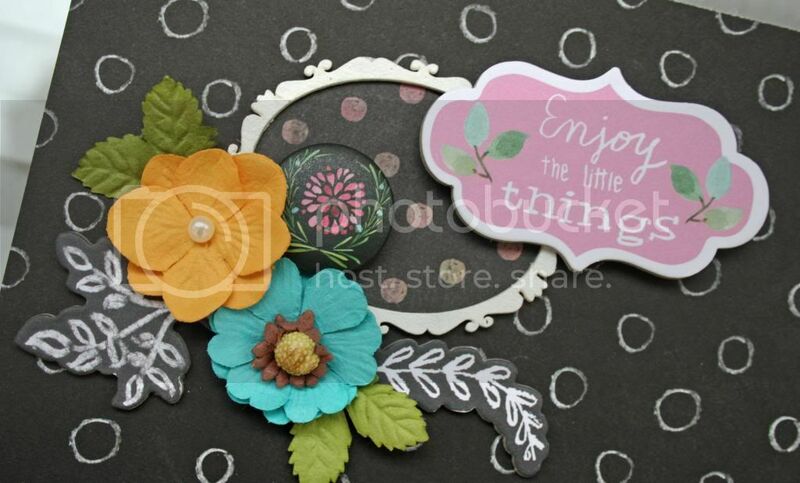 LOVING the frames and the flowers!!!!!!!! Just gorgeous! 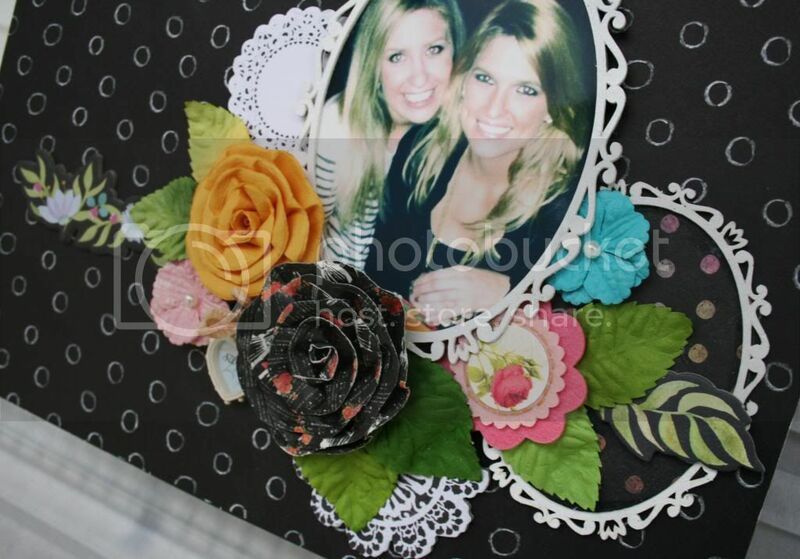 Love the contrast of black and white with the colored flowers! Robbie this is so beautiful! Love the contrast!